During week 31 of pregnancy, you are gaining weight very fast. So is your baby. Your appetite increases progressively as your baby looks for more nutrients. Your face shines with the pregnancy glow, and you can allow yourself the lavish treatment of manicures, pedicures, scented oil baths and gentle massages. If the weight gain is troubling you, bear in mind that losing weight can be managed later but having a healthy baby cannot. 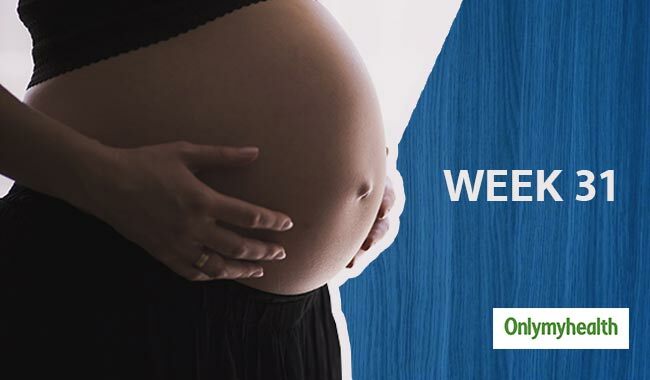 Symptoms of Pregnancy Week 31 – What to Expect?